You'll always get the lowest price - we guarantee it! If you find a cheaper rate on your hotel reservation within 24 hours of making your booking with us, we will refund the 100% of the difference. Learn more here. Our Low Price Guarantee applies to Hotel reservations made on any CauseTravel.com. If you find a lower price for the same itinerary, we'll refund 100% of the difference. Just submit the below form within 24 hours of booking on CauseTravel.com to initiate your claim. The lower price, including taxes and fees, must be available to the general public for booking on a website in the same currency, using the same form of payment and from the same point of sale as your original reservation when you call us. The lower price must be an exact match to the itinerary booked on CauseTravel.com, including offering of a comparable cancellation policy. Our Best Price Guarantee does not apply to fares that aren't available to the general public, such as those for corporate customers, military personnel, students, children, senior citizens, groups, and members of organizations such as AAA and AARP, as well as wholesaler and consolidator fares, convention rates, and fares purchased through coupon promotions, loyalty and other "reward" programs. Fares that have been partially refunded or canceled by CauseTravel.com or others, and fares that are part of promotional packages or that include additional amenities, such as parking or meals, are excluded from the Low Price Guarantee. Additional restrictions may apply. Here's what you need to look at to match itineraries: you must compared prices from the same location and computer and make sure the comparable is the same hotel, check-in and check-out dates, number of rooms, room type including bedding and view selection. You must additionally provide the URL for the price you are comparing to along with your trip number and email address. If you are ready to initiate a claim or want to review the full details, click here. Found a lower price? Found a lower price on your hotel reservation? Check that it qualifies. Use our Low Price Guarantee checklist to see. 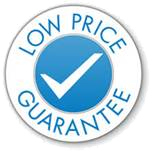 We're talking about a Low Price Guarantee even when comparing with the below sites, just to mention a few. We are so confident in our pricing we actually encourage you to go check it out and even provided the links to do so here.